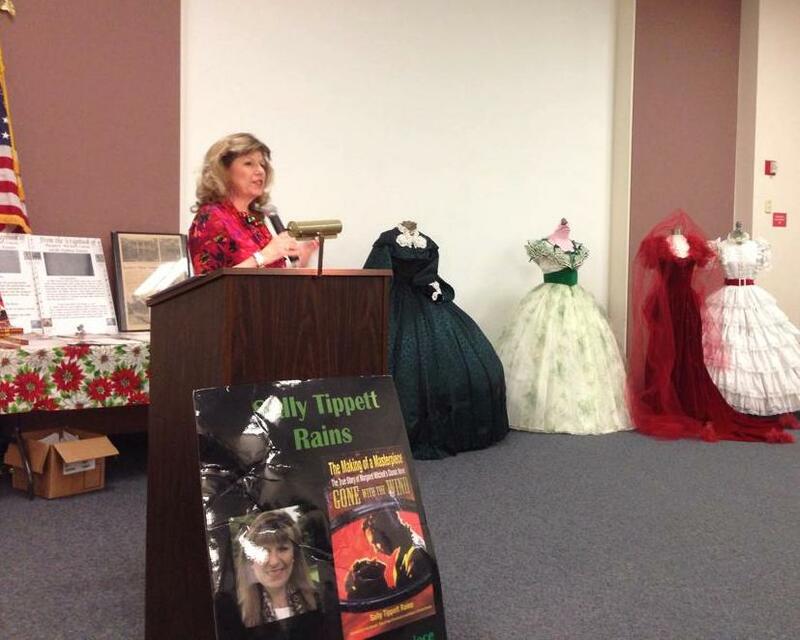 From left to right: Rita Kiry Ryan, Nikki Luebke, Anna Blair, Sally Tippett Rains standing next to four replica Scarlett O’Hara dresses that Nikki brought. She has done many talks about Margaret Mitchell’s famous book and the movie made from it– both in St. Louis and various spots around the country, but she wanted this one to be different. Fans who attended got to watch documentary based on the book which aired on HEC- Higher Education Channel and then were treated to some special events. The film talks about some of the St. Louis connections to “Gone With the Wind”– including the fact that General Sherman is buried there, and Greg Giese, who played two infants in GWTW is from Belleville, Ill., which is in the Greater St. Louis Area. 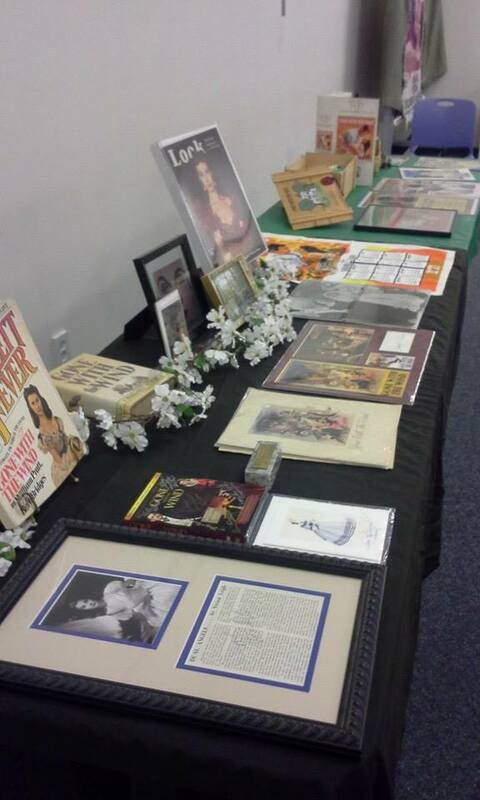 Rather than spend too much time talking about her book, the author wanted to showcase some special people she has met along the way in her “Gone With the Wind” life. Rita Kiry Ryan’s table. Note the gold candlesticks. First was Rita Kiry Ryan, of Affton, Mo. 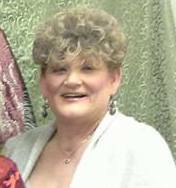 Rita had been following our GWTW Book Facebook page and contacted us prior to the Gateway to the Wind St. Louis GWTW event held five years ago. She ended up joining the committee. 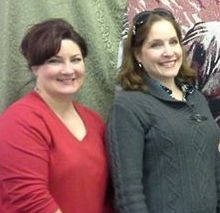 Rita was able to meet up with other GWTW fans at the 75th Anniversary celebration in Marietta, Ga. this year. 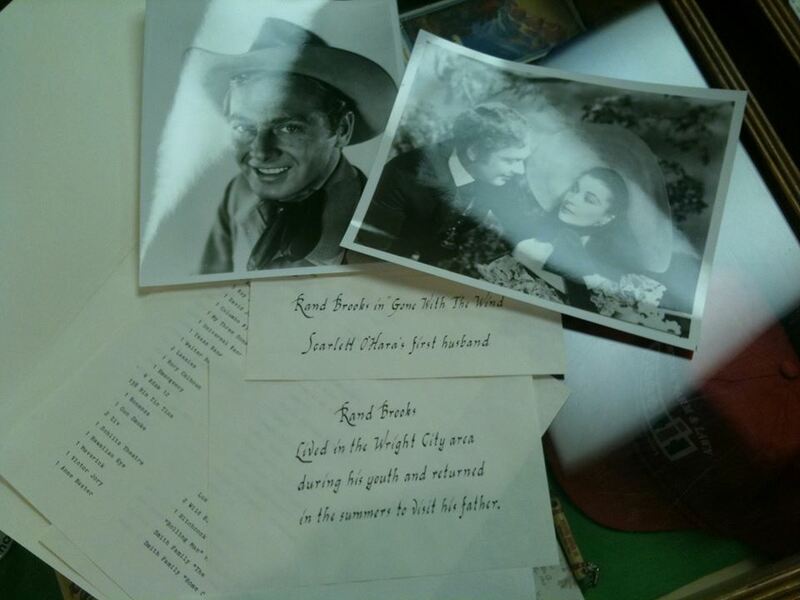 At the library, Rita showed items from her GWTW collection. She has been interested in the movie since she was a child. “My prized possession is a set of candlesticks once owned by Margaret Mitchell, the author of ‘Gone With the Wind,'” Rita told the audience. She showed the crowd her gold candlesticks, and several people came over to her asking to touch them– just because Margaret Mitchell had touched them before. Rita, who is a business teacher, also had many plates and some dolls. Another thing Rita collects is first day covers and she had many of them on display. 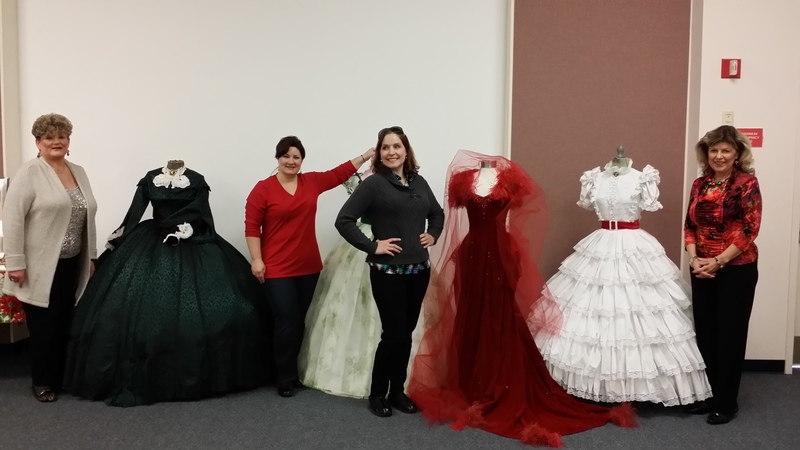 Nikki Luebke poses with the four dresses she brought for display. Next came Nikki Luebke, of Wright City, Mo. We first met Nikki at the Gateway to the Wind event when she found out about it and contacted us to see if she could wear a Scarlett O’Hara dress. She showed up in a gorgeous replica of the dress Scarlett wore in the opening scenes with the Tarleton Twins– and stole the show! 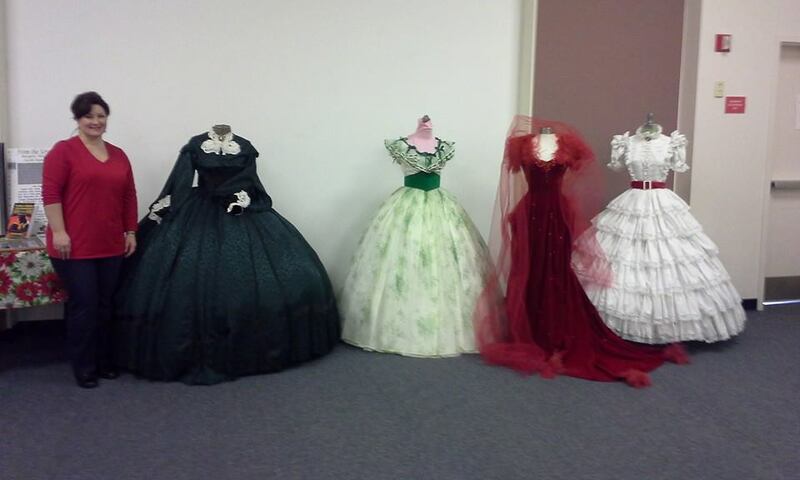 Nikki talked about four GWTW replica dresses that were displayed on mannequins. The four dresses she brought were the Scarlett’s green Christmas dress, green sprigged dress worn at the barbecue, white youthful ruffly dress worn in the opening scene, and the red dress Rhett Butler made Scarlett wear to Ashley’s surprise birthday party. Nikki Luebke did some research on Rand Brooks. She found him in the city directory, proving he was from Wright City, Mo. Nikki is a beautician in Wright City, which is near St. Louis; and the mother of one son. She mentioned in her talk that Rand Brooks, who played Charles Hamilton was from Wright City. Another interesting thing about Brooks is that his first wife was Lois Laurel, daughter of screen legend Stan Laurel. Together they started an ambulance company. According to information Nikki found, later in his life, Rand Brooks retired and came back to Wright City. 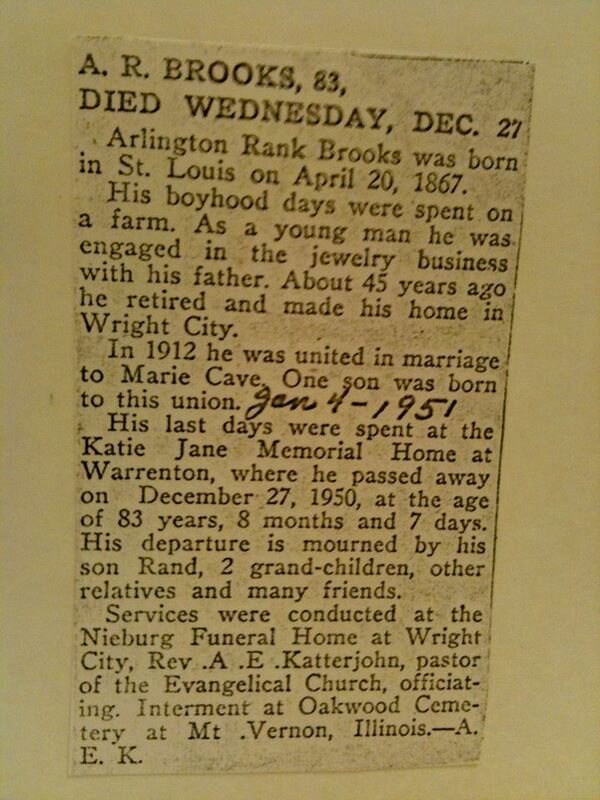 He lived in the Katie Jane Memorial Home in Warrenton, Mo, which is near Wright City. 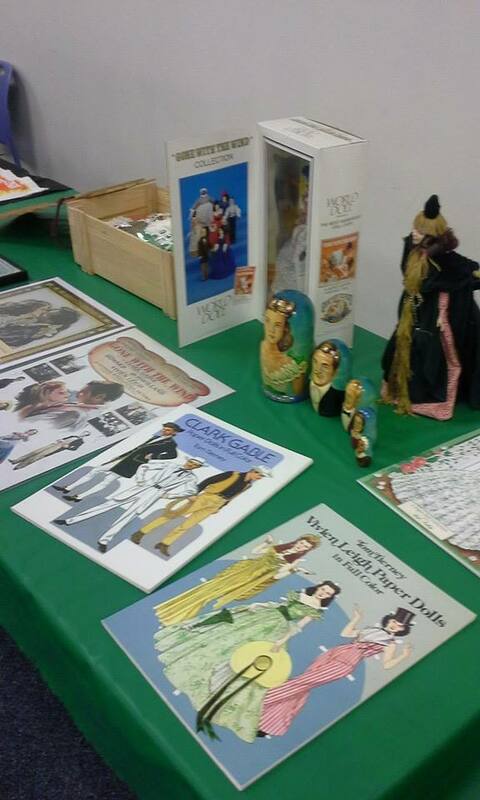 The library event was rounded out with memorabilia from Anna’s collection. She is from Arnold, Mo. We first met Anna in Jonesboro, Ga. while at an event at Stately Oaks Plantation. It was our first GWTW event and quite a surprise to find out the person sitting next to us was from the St. Louis area! Part of Anna Blair’s collection. The picture at the near end of the table is autographed by Vivien Leigh. Anna’s prized possession is a first edition (May 1936) GWTW– autographed by Margaret Mitchell (shown on table in picture to the right). A Mitchell autograph is very rare. 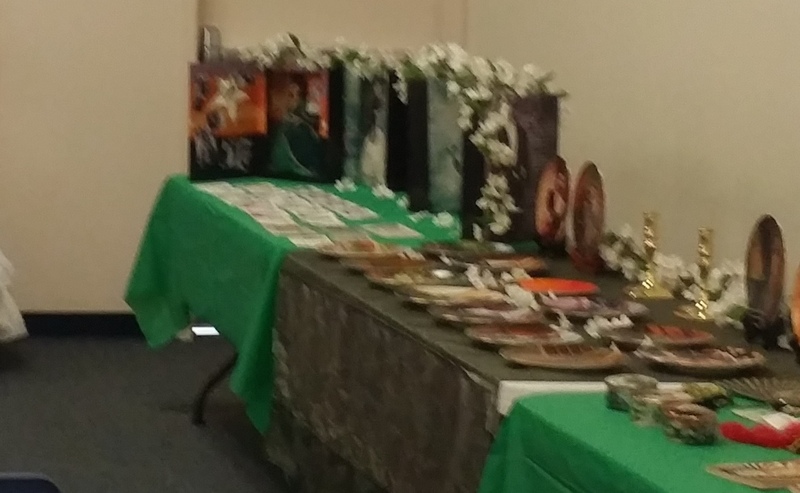 At one point when people were looking at the collections, one of the guests set his coffee down on the Vivien Leigh picture, but luckily everyone saw it and quickly moved it. More from Anna Blair’s collection. Refreshments, including chicken salad sandwiches, cheese & crackers, and Christmas cookies were served and members of the audience stayed around to talk, ask questions, and look at all of the memorabilia. It was a great way to send “Gone With the Wind” out in style and close out the 75th Anniversary. “The Making of a Masterpiece, The True Story of Margaret Mitchell and Gone With the Wind” will be honored at the 2015 Missouri Cherry Blossom Festival. We are honored to be receiving this award for the book which won first place in the Missouri Professional Communicators Awards and second place in the National Federation of Press Women Awards. The documentary made from the book won a Telly Award. Be sure to hit “subscribe” on this blog to subscribe to the articles by Sally Tippett Rains. 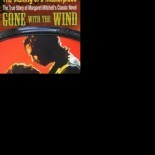 For information on “The Making of a Masterpiece; the Story of Margaret Mitchell and Gone With the Wind” go to GWTWBook.com. This entry was posted on December 19, 2014 by gwtwbook in Gone With the Wind, GWTW 75th Anniversary, Scarlett O'Hara.